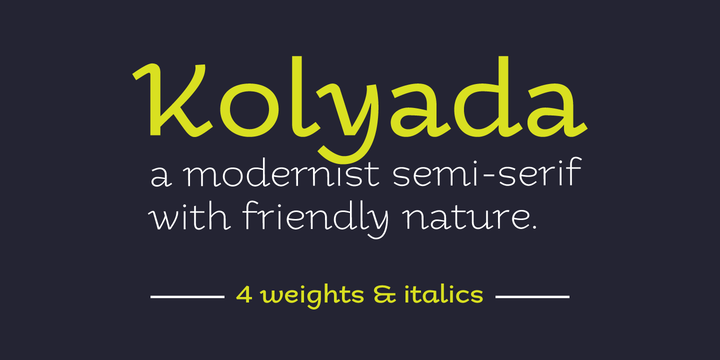 Kolyada is a typeface created by Cyrill Tkachev and published by Tkachev. You’ll find 4 styles perfect for magazines, logotypes, headlines, books etc. A font description published on Tuesday, March 26th, 2013 in Fonts, Tkachev by Alexandra that has 3,759 views.